We offer a wide range of hotels near West Ham United from cheap accommodation to up market luxury hotels. Search our database of hotels to find the lowest rate for your stay closest to Olympic Stadium. 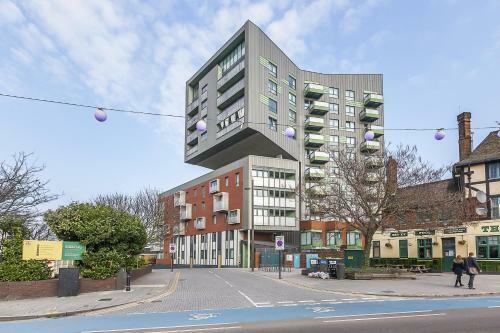 Set 210 metres from Stratford High Street Tube Station in East London, Belvedere - Edge Apartments offers modern, self-catering accommodation with free WiFi and a balcony. The Olympic Stadium is a 15-minute walk away. 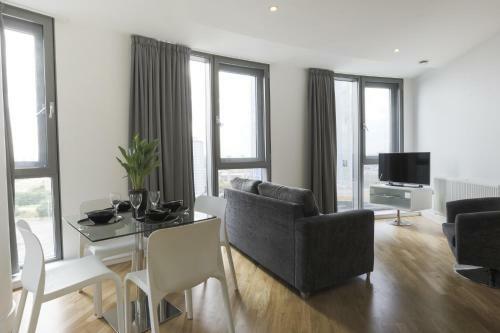 Belvedere Olympic One Eighty is situated in London, 800 metres from Olympic Stadium. Victoria Park is 2.4 km away. Free WiFi is featured throughout the property. The accommodation features a flat-screen TV. Venus Apartment Excel London is set in London, 1.9 km from Olympic Stadium. O2 Arena is 3.2 km from the property. Free WiFi is offered throughout the property. The accommodation is equipped with a dining area and seating area with a flat-screen TV.